Carling Aquatic and Physical Therapy is happy to announce we now offer a Metabolic Program in conjunction with our physical therapy services. Now when you are getting you physical therapy treatment you can receive assistance with any metabolic concerns you may be have, like, diabetes, high blood pressure, and weight loss. 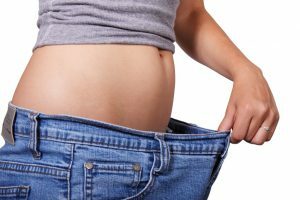 Why a weight loss program with physical therapy? Trying to lose weight can be a struggle when you are trying to implement an active lifestyle, but are living in pain. Starting a program that addresses both weight loss and pain or mobility issues at the same time, helps create a great opportunity for success. Have your doctors office write referral to treat one of the above conditions and have them include, that you want to be part of the metabolic program. When you begin your therapy you will be taken through a metabolic training program and be provided tools that will assist you in meeting your metabolic goals. This program is offered at no additional cost to our patients or their insurance plans. We are excited about the opportunity to helping you meet your wellness goals! Carling Aquatic & Physical Therapy has proudly served Chandler and Gilbert's physical therapy needs since 2000, as an affiliate of Petersen Physical Therapy. Our commitment is to provide a warm, friendly, relaxed environment to treat our patients. Our custom designed programs and expert staff optimize the environment for our patients to meet and exceed their therapeutic goals.